What Are The Pros And Cons Of Online Treatment For Addiction? This entry was posted in Recovery & Support and tagged Addiction, Professional Help, Recovery, Treatment on April 20, 2016 by Team Addiction Hope. It takes courage to reach out for help when trying to overcome addiction. Achieving recovery takes a lot of time and effort, and not everyone can afford to put their lives on hold by joining a residential treatment program. Fortunately, there are a growing number of addiction treatment programs that take place over the internet, for all kinds of addiction, allowing addicts to work towards recovery in a way that fits into their busy schedule. While online addiction therapy may work for some, there are others who require more intensive treatment. By understanding the advantages and drawbacks of online addiction therapy, you can better decide the path that’s best suited to your unique needs. 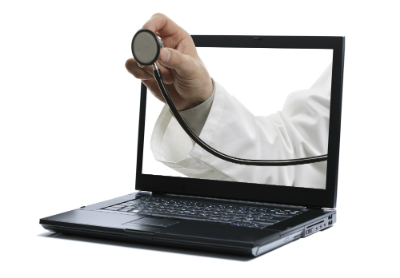 Is Online Treatment Right For You? Below, we’ll examine the pros and cons of online addiction treatment. One advantage of online treatment is its convenience. Not everyone can devote months of their life to residential rehabilitation, and attending regular outpatient meetings can conflict with work schedules and family obligations. With online treatment, you can attend sessions whenever they are most convenient for you. The flexibility of online care removes the excuses for missing a session. Whether you’re sick, traveling or simply overwhelmed with the responsibilities of life, as long as you have access to the internet, you can get the professional help you need. Online treatment is also a good option for those who value their privacy and anonymity. Many addicts feel more comfortable letting down their emotional barriers in the comfort of their home. Therapy sessions that take place over streaming video are very often done through secure servers and are heavily encrypted, ensuring that all of the thoughts and feelings you share with your therapist remain strictly confidential. Seeking treatment online doesn’t mean you’ll have to sacrifice quality of treatment either, as most online programs host both individual and group therapy sessions. Virtually every aspect of a successful in-person program can be replicated online. And because online addiction treatment doesn’t require the same infrastructure as live sessions do, the cost it often considerably lower, making it a great choice for anyone on a tight budget. Online addiction treatment does have its downsides. For example, many addicts need a rigid structure to stay consistent with their treatment. Because online care is so flexible, it can be tempting to put off the work until later. There is less accountability when someone is not expected to be at a certain place at a certain time. This can be problematic for those who are not completely dedicated to recovery. Others may feel that video streaming their therapy sessions is too impersonal, lacking the human connection of face-to-face conversation. If someone becomes highly emotional during a video-streamed group session, there will ll be no one there to comfort that person through physical contact. This can leave some people feeling more isolated than ever, which is counterproductive for healing. For many addicts, online treatment simply isn’t enough to overcome addiction. Those with a severe addiction would benefit most from an intensive inpatient program where they are monitored 24 hours a day. Detoxing and weathering the effects of withdrawal require an addict’s complete focus, and this is tough to accomplish at home. Online addiction treatment has numerous benefits, as well as some significant shortcomings. While it may not be the right choice for every person, it can be an effective and convenient path to recovery for some individuals who suffer from addiction.